Whether you want to see a play, watch a movie, or enjoy an outdoor theater, Monterey, Pacific Grove, Salinas and Carmel offer plenty of showtimes options. Plan your Monterey visit today and buy your tickets! Maya Cinemas is your neighborhood movie theatre. Visit our website for tickets and show times. Cinemark is your neighborhood movie theatre. Visit our website for tickets and show times. 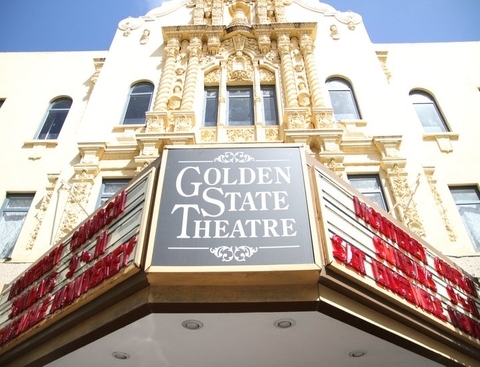 The Osio Theater is Monterey's only independent, locally-owned movie theater. We strive to bring the highest quality independent, foreign, and classic films to Monterey. The Pink Flamingo Theater is an intimate space available for rentals for plays, musical performances, documentaries, lectures, workshops and more. Lighthouse 4 is your neighborhood movie theatre. Visit our website for tickets and show times.